By now, you’re probably already packing that first “care package” you’ll be sending off to your college student. This will include all the essentials like Ramen, laundry detergent, snacks they can only get from home and anything else they forgot. You can expect to make these package shipments throughout the year. Nothing wrong with that! Now that your kid has moved out of the house, you can also take advantage of their absence by getting into that room and clearing out the clutter. For many parents, this could be the first time they stepped across that threshold in years. If you can fit everything into a single trashcan, then you’ll be ahead of the game. However, if you are dealing with some serious trash overflow or have to contend with large, bulky items, then it’s time to bring in the pros from Junk King. You college student cleanup will definitely be made easier once the Junk King team arrives. This crew will be under your direct supervision for as long as it takes to get rid of your stuff. All you’ll be doing is pointing to what you want taken away. With Junk King on the job, you don’t have to lug anything down stairs or drag it out to the curb. That is what Junk King is for. After you’ve dealt with your college student cleanup, you can set Junk King to work throughout the rest of your home. As long as you’re clearing clutter from one room, why not clear it from the entire home? That cleanup can also extend to the backyard. In a single junk removal session, Junk King can haul away all your unwanted furniture, clothing, appliances and other household goods. Part of Junk King’s junk removal packaged includes an eco-friendly way of getting rid of the junk. They will make every effort to keep as much junk out of local landfills as possible. This is actually easy for Junk King because they’ve set up partnerships with many area recycling facilities and charitable organizations. It might mean a few extra drop offs for the Junk King crew, but you won’t have to worry about that. And you won’t be charged for the recycling either. Your college student cleanup and home decluttering just got a lot easier thanks to Junk King. This entry was posted in Denver Junk Removal and tagged Junk King, junk removal on August 31, 2015 by Paul Durant. Last updated August 1, 2017 . Let’s face it; we’ve all been guilty of making a bad purchase. Hopefully, you can avoid that when it comes to buying a car or house. However, there are plenty of other things like shoes that are too tight or exercise equipment that is too bulky that seemed like a good idea at the time but now… not so much. It will be easy to toss out those shoes but when it comes to the treadmill or weight bench, you’ll want to bring in the team from Junk King to clear that out. 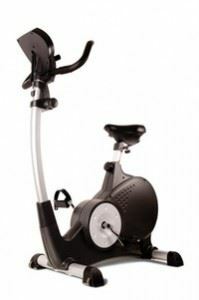 There is no shame in getting rid of exercise equipment that isn’t being used. The real shame is letting all the valuable space in your home be wasted by being taken up with clutter. If it were easy to remove that heavy piece of exercise equipment, you probably would have done it long ago. Now with Junk King on the job, it actually is easy. That’s because you won’t be lifting a finger to move anything. Whether that heavy object is in your garage, spare room or up on the second floor, the Junk King team will have no problem removing it from your property. Along with all the exercise equipment removal, that same crew can take away anything else you want gone in the same appointment. This means you can finally toss out bags of unwanted clothes, appliances or books. The Junk King team will also be happy to do a little yard work for you. They won’t mow the lawn but they’ll certainly remove anything you want from the lawn including patio furniture, construction waste, lumber or concrete. Imagine how you can transform your home when all that clutter is taken away. 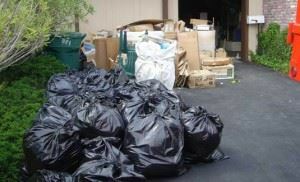 Part of the complete junk removal package with Junk King also involves an eco-friendly approach to disposal. Junk King’s main mission is to keep as much rubbish out of local landfills as possible. They want to help the OC become a zero-waste region. That means anything that can be repurposed will be. Whether something is dropped off at a recycling facility or local charity, nothing has to go to waste as long as Junk King is on the job! Why not end the summer with exercise removal and hassle-free junk hauling from Junk King? You’ll be glad you did! This entry was posted in Denver Junk Removal and tagged Exercise Equipment Removal, Junk King, junk removal on August 21, 2015 by Paul Durant. Last updated August 1, 2017 . We offer junk hauling services for your home or business in Denver CO. We’re the junk removal company that handles the intense stuff and we guarantee that your garbage is reused, given, or generally discarded capably. 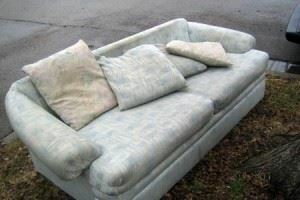 Do you have old furniture, appliances, hardware, tires, industrial or yard waste you have to vanish? We at Junk King can haul away any material in our trucks, without you even lifting a finger. When we say we are your full-service junk removal company, we truly would not joke about it. Book a no-commitment arrangement online or call us today. We offer same-day service and our local, formally dressed crew will call you 15-30 minutes prior to your planned 2 hour entry window. We bill you as per volume (the amount of space your garbage takes up in our truck). When we arrive, simply indicate the garbage you need uprooted and we’ll give you a complete cost. It’s that basic. It is not simply garbage to us. When you tell us to take my junk, we do our best to help you with it. Utilize Junk King Junk Hauling Denver CO and serve to keep garbage out of the landfill. This entry was posted in Denver Junk Removal Services – Back To School 2014, junk removal and tagged junk hauling services, junk removal on August 15, 2015 by Paul Durant. Last updated August 15, 2017 . Removing unwanted stuff, trash and not in use items from your home or office can be a tedious task. Junk King not only saves you from the effort of removing junk, but also the possible chances of self-injury or damage to the home or office from trying to handle these items yourself. Working with us is as easy as it can be and provide best junk hauling services. We accommodate our schedule to yours and are sensitive to your requirements and financial constraints. With our professional team and expertise, removing those unwanted items from your property in Denver is a walk in the park. We also assure proper clean up after removing your debris, so you won’t be left with a mess. Our junk hauling teams are well trained and respect the location where you live or work. We make sure that we leave the site better than we found it. •	We donate or recycle over 50% of the items we remove. Contact the Junk King Denver CO today and our junk haulers will be on the way in no time! This entry was posted in Denver Junk Hauling and tagged junk hauling services on August 14, 2015 by Paul Durant. Last updated August 1, 2017 . You’ve probably seen the occasional piece of furniture or old TV put out on the curb. The “culprit” can usually be traced directly to the house behind the curb. The hope is that someone will come by can pick up that “free” item. Perhaps a kindhearted garbage man would even consider putting it on their truck. However, one Denver neighborhood is suffering through an “abandoned trash on the curbside” nightmare. Recently, a pair of tenants was evicted from the home they were renting by the new owner. Apparently, these tenants were quite the hoarders. However, instead of merely kicking them out of the house, all of their possessions were also removed. The result was a block long trail of furniture, household goods and plain old trash that the residents had to suffer with. After a week of the garbage piled up there, city officials let it be known that it is the responsibility of the new owner to remove all that junk. This is a job for Junk King. One call is all it would take for the Junk King crew to swoop down in their big truck and removed every piece of debris on that sidewalk. Hopefully, the owner will get Junk King’s number and fast! Removing old furniture is a specialty of Junk King. That holds true for just a few pieces or an entire homes worth of furnishings. No job is too big or too small for Junk King to tackle. If you’ve got some unwanted items taking up space around your house, you would be well served by hiring Junk King for the removal. The crews who work for Junk King are all licensed, bonded and insured. This puts them in the professional category to be sure. Before the crew starts loading, they’ll present you with an estimate cost. That will be based on how much volume they think your junk will take up. You can get a sense of this price range over on the Junk King website. However, the final price can only be locked down when the crew has had a chance to see the junk in person. The good news is that they like to pack their trucks up tight. That translates into the lower end of the price scale every time. You don’t have to live with old furniture. Turn it over to Junk King. This entry was posted in Denver Furniture Pickup and tagged Junk King, junk removal, old furniture on August 2, 2015 by Paul Durant. Last updated August 1, 2017 .